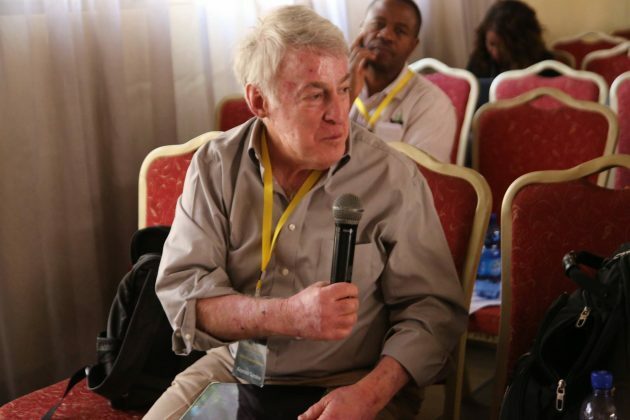 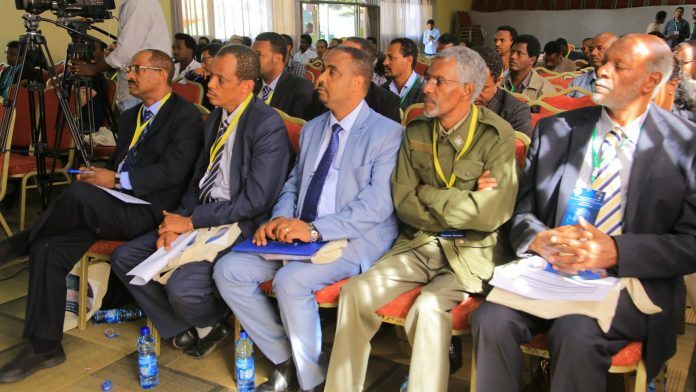 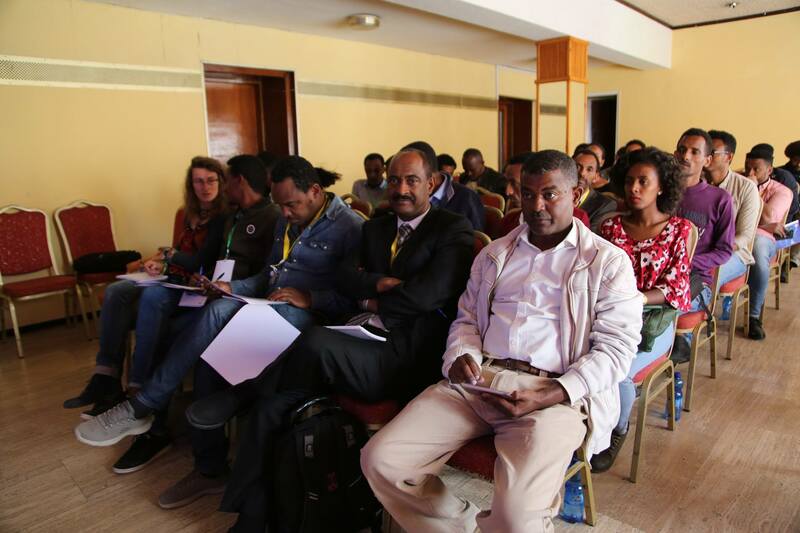 The 1st African initiative for planetary and space science (AFIPS) international workshop alongside the Ethiopian Space Science Research and Technology Development Annual Conference started on Monday. 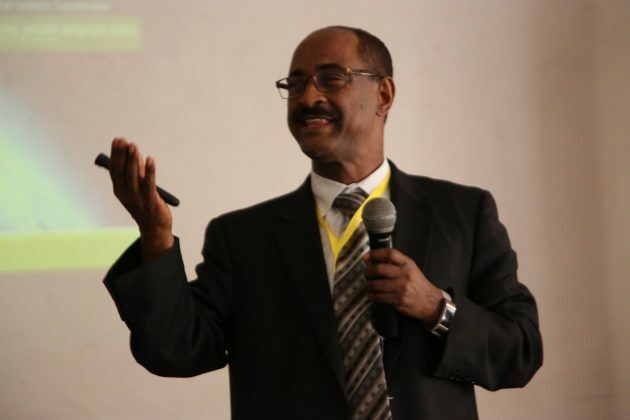 His Excellency Dr. Shumete Gizaw, the state minister of innovation & technology and Dr. Solomon Belay, director general of ESSTI opens the conference. 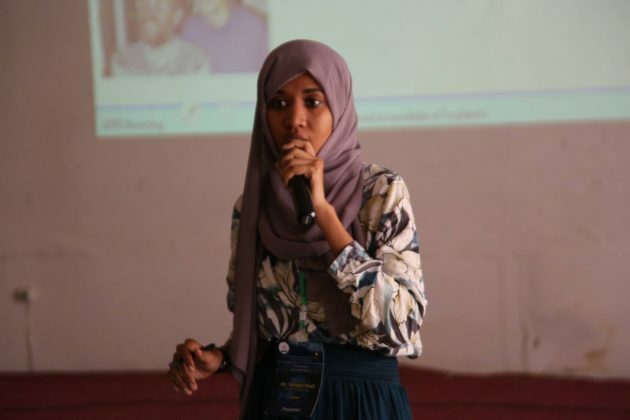 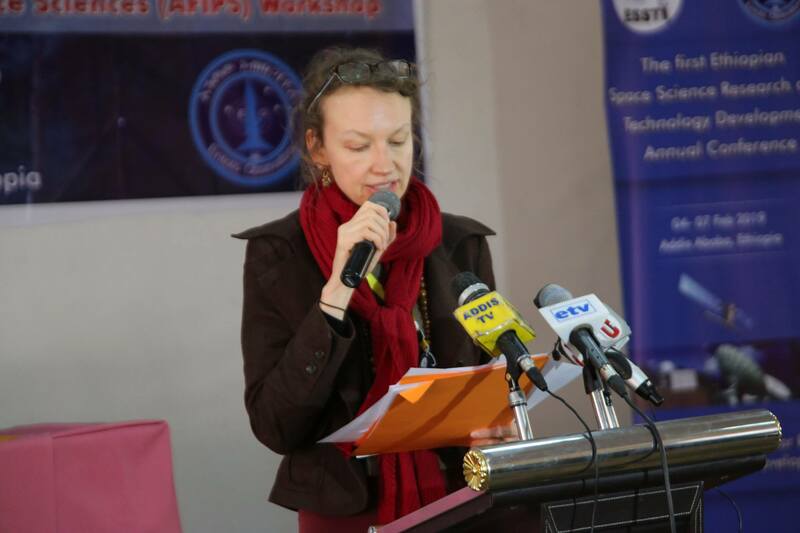 The aim of AFIPS is a better vision of economic, cultural and societal impacts of research activities in planetary and space science in Africa, a sustainable scientific and higher education strategy for developing planetary and space science in Africa, an improved strategy to attract national & international funding. 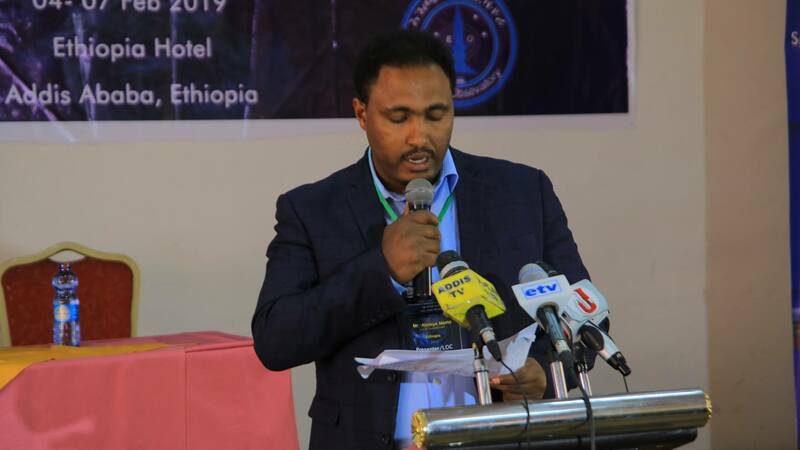 Dr. Shumete Gizaw in his speech emphasized that such kind of international conference is essential for developing country like Ethiopia to improve science and technology. Also H.E Ato Tefera Walwa present space science and technology for Africans development; experience from Ethiopia to local and international participant. 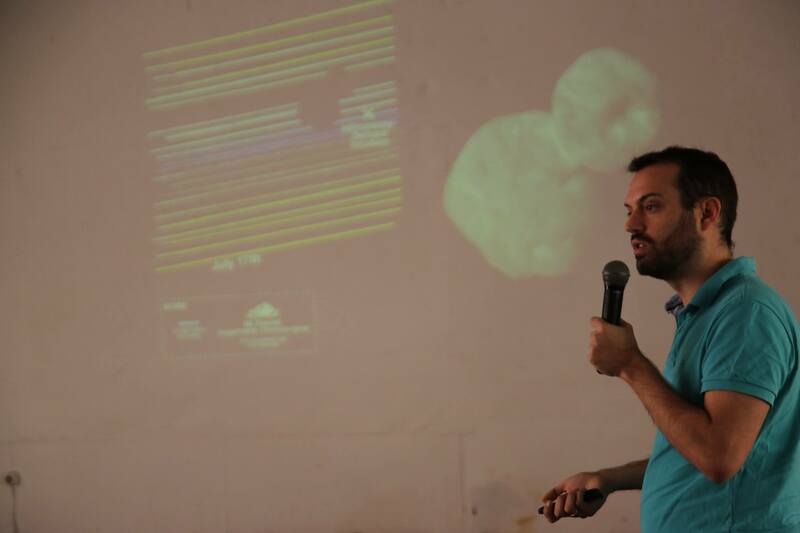 Several keynotes were presented. 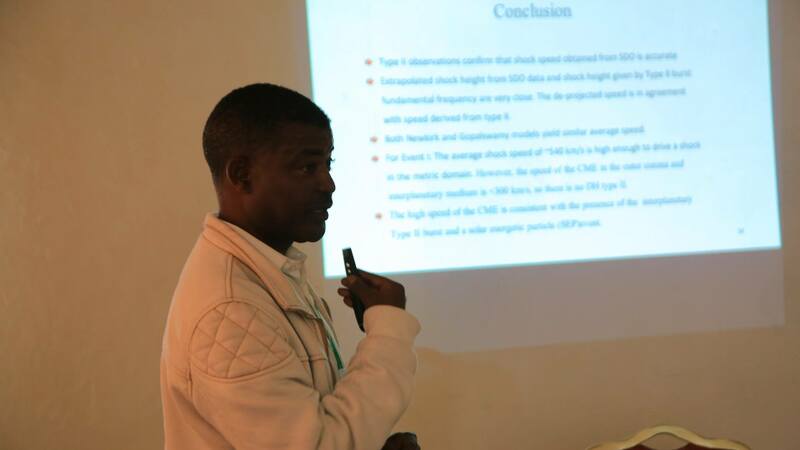 Dr. Worku zewdie presented evaluation of the status and national demand of earth observation technology for agriculture. 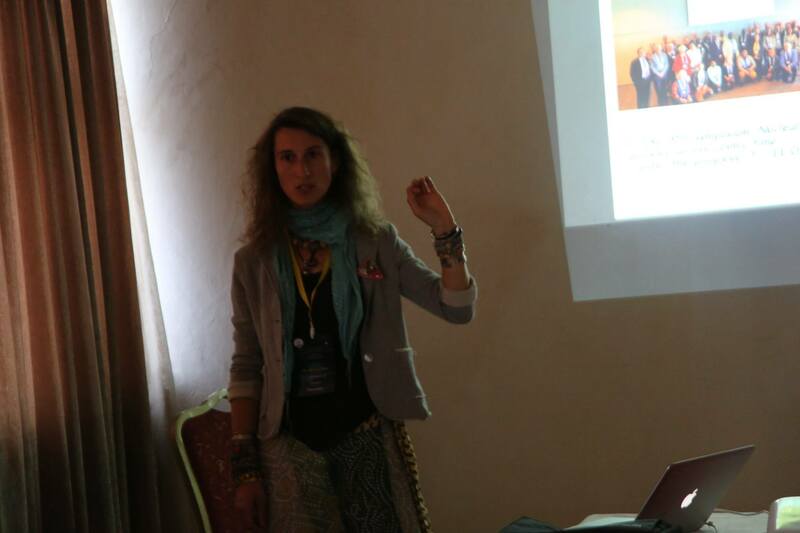 Development of strategic astronomy in Ethiopia and east-African region keynote speech was presented by Dr. Mirjana povic. 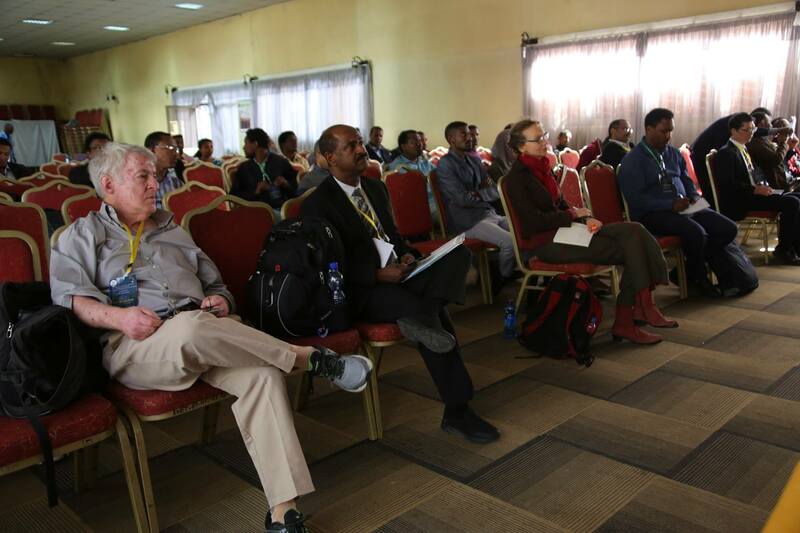 Also Mr.Daniel Atnafu presented performance of Nequick -2 ,IRI –plas 2017 and GIM models over Ethiopia during the ascending, rising and descending phase of solar cycle 24. Dr. Solomon Belay, director general of ESSTI shows the current status of stellar astronomy research at observatory and research center, Dr. Solomon focus on future research works about expanding the scope of the thematic areas, publishing more papers, joint research and series fund raising campaigning. 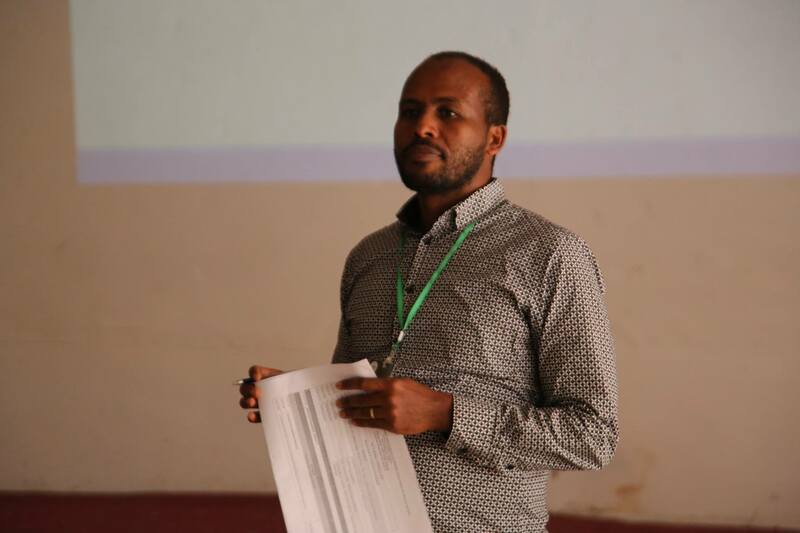 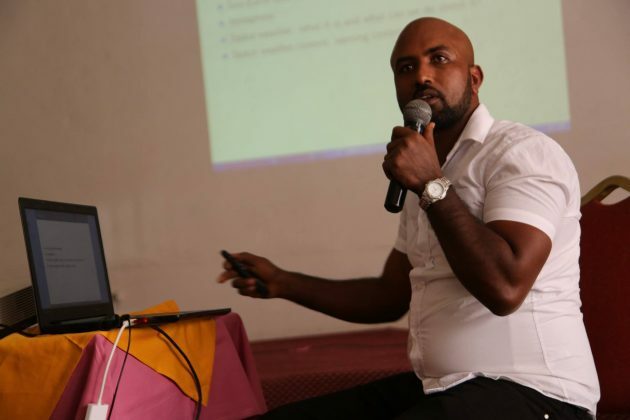 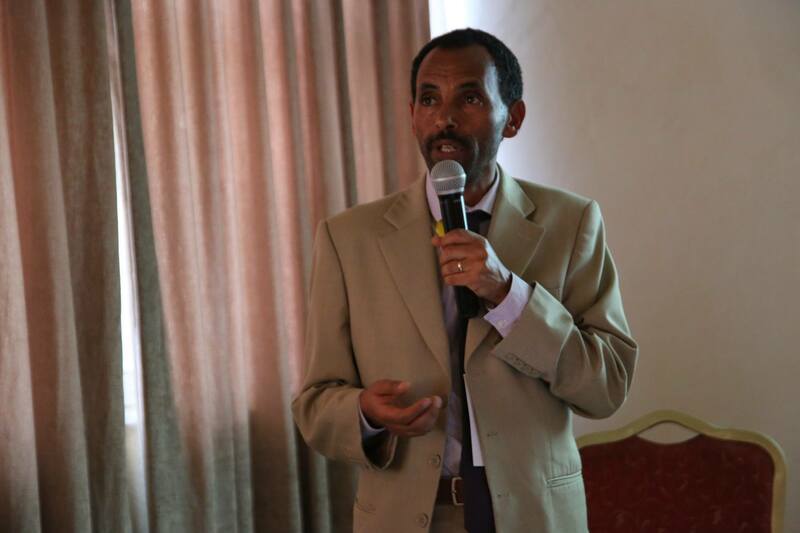 On the other side Mr. Melaku Muka present operational web based meteorological, hydrological and agricultural drought prediction and forecasting infrastructures service on the case of Ethiopia. Characterization of coronal mass ejections at type 2 solar radio bursts onset title was presented by Mr. Fithanegesete Kassa. 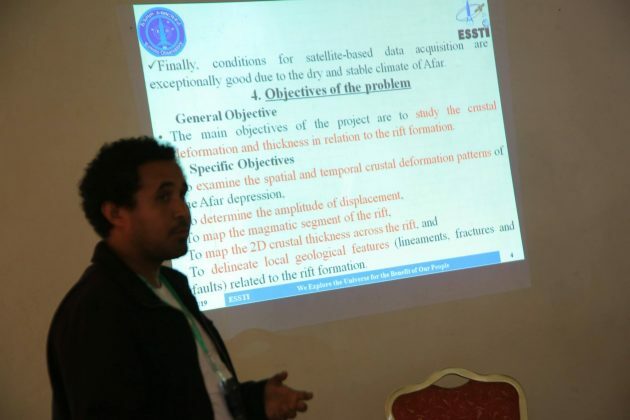 Mr. Eyasu Leta talks about Ethiopian height system modernization project and he concluded the crustal thickness decreases towards the northern and the eastern part of Afar, there are magmatic intrusion and the crust/mantle boundary decreases in the depth. 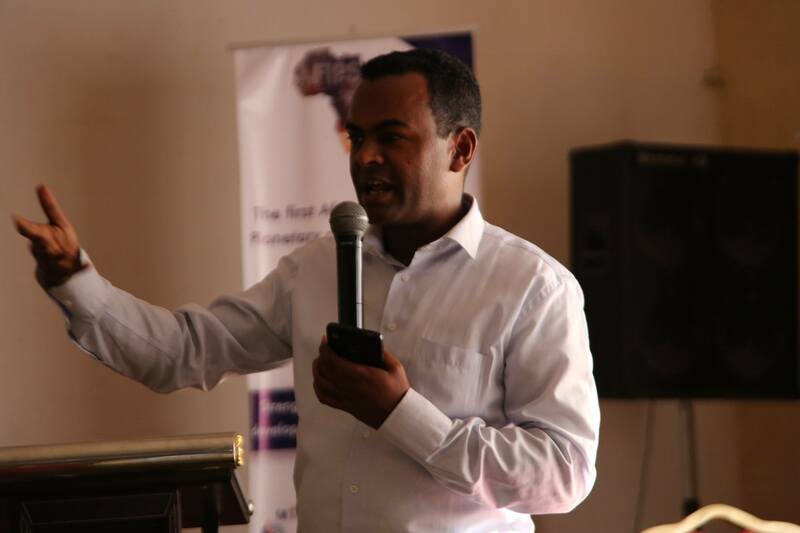 Mr. Tilahun Getachew speaks on study of AGN contribution on their host galaxies and how it affects morphological classification. Mini Discussion after the presentation is toke place. 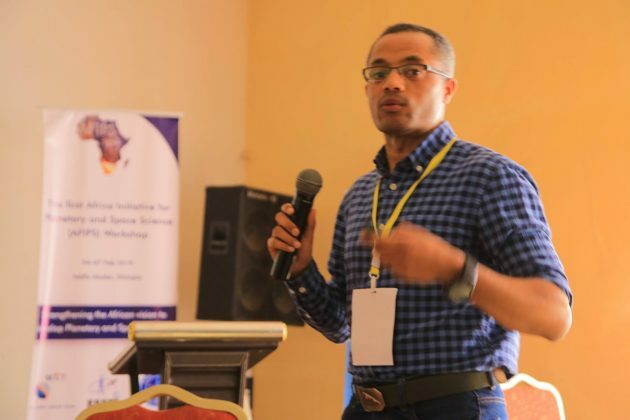 Dr. Sylvain Bouley presents research astronomy with small to middle-sized telescopes, a wide range of opportunities for astronomical observations in Africa. The impact of flash on moon & Jupiter and other related concepts were mentioned. 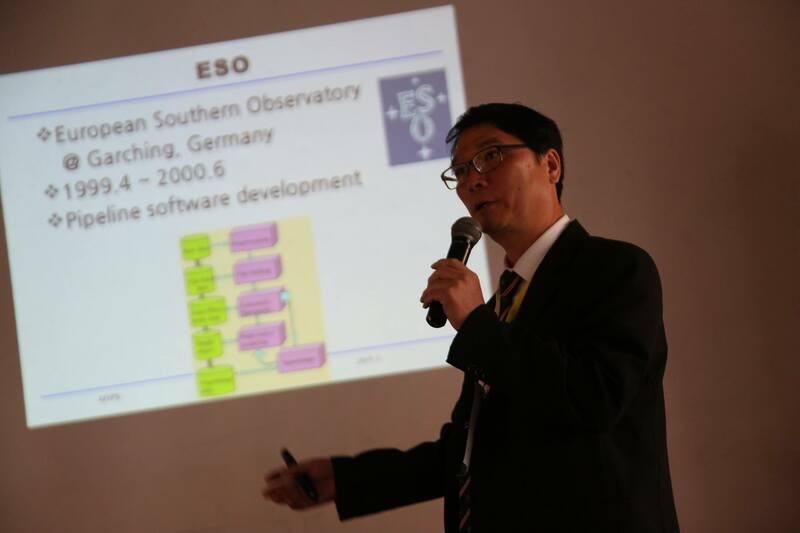 On the other hand Prof. Young-Soo Kim speaks on a method for mirror re-coating and telescope refurbishments. 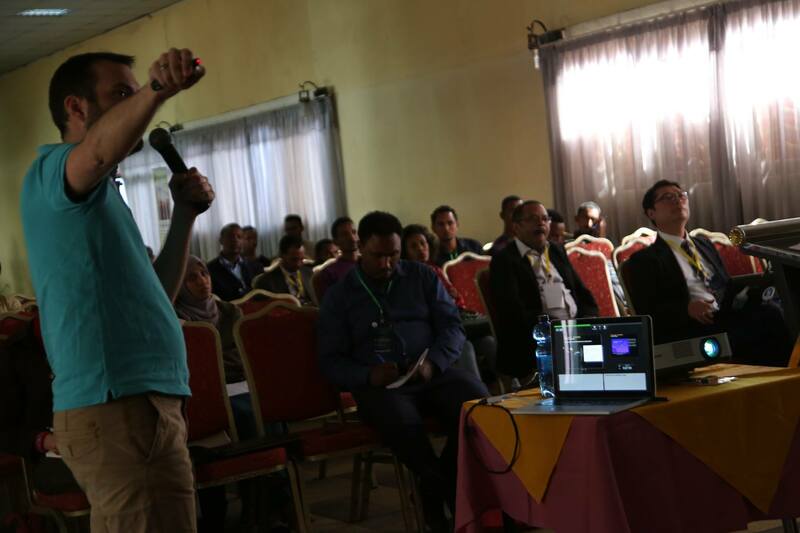 Mr. Hozayfa present Observational constraints on the flat dynamical dark energy cosmological. Discussion among Participants and forwarding questions and ideas on the presented topics was also an integral part of the conference. 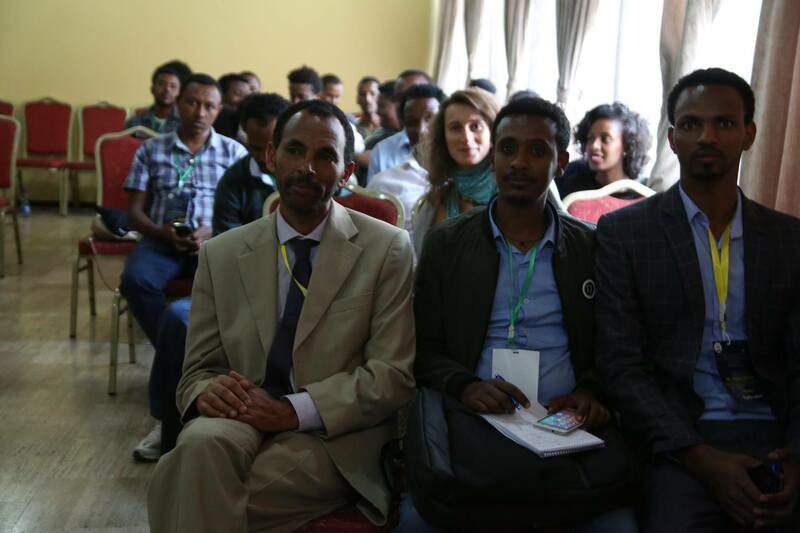 Dr. Tsegaye Tadesse , Dr. Negussie Mezgebe,Dr. 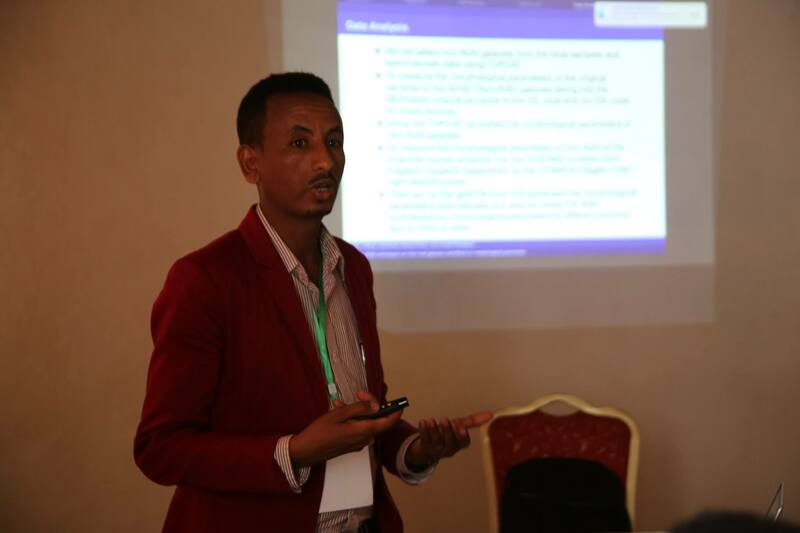 Ahemed Mekonnen present on remote sensing application for drought early warning and food security systems in the greater horn of Africa, effect of moderate geomagnetic storm on EPBS over eastern Africa & advancing in aerospace engineering for Africa’s planetary and space programme renascence respectively. On the other session Mr. Tesfay Yemane, Eyoas Eregetu and other keynote speakers present their projects. 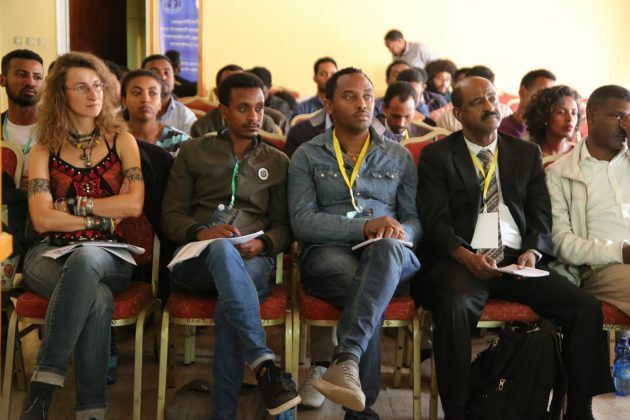 For instance assessment and mitigation of impact of geomagnetic storm on power grids over Ethiopia, plan8 weight project and other important projects are presented. The workshop which started on Monday would end tomorrow, Thursday February 7th, 2019. 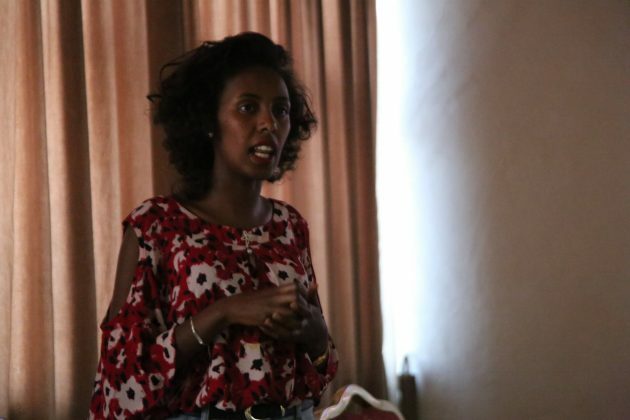 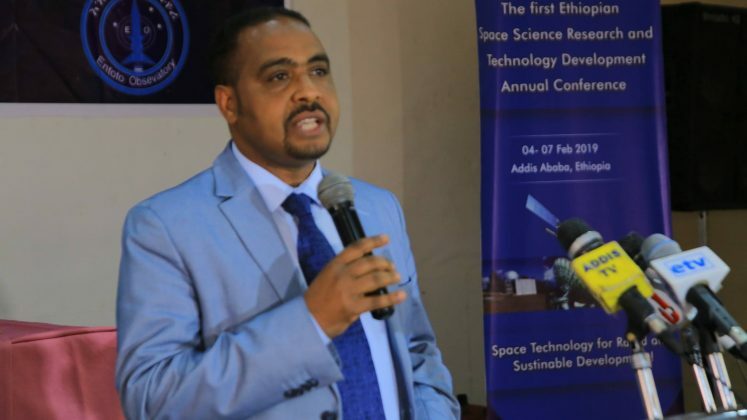 AFIPS is hosted by Ethiopian Space Science and Technology Institute (ESSTI) and Bahir Dar University (BDU) in support of the Ethiopian Space Science Society, Ministry of Innovation and Technology and African Initiative for Planetary and Space Sciences.